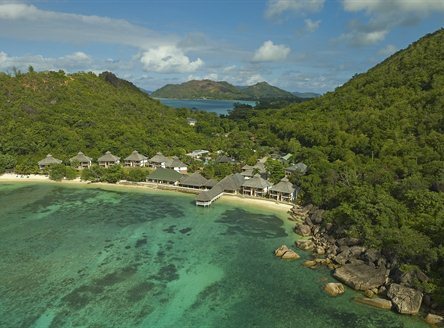 Le Domaine de La Reserve Hotel is located on the secluded and private Anse Petite Cour Bay on the picturesque Praslin Island in Seychelles. 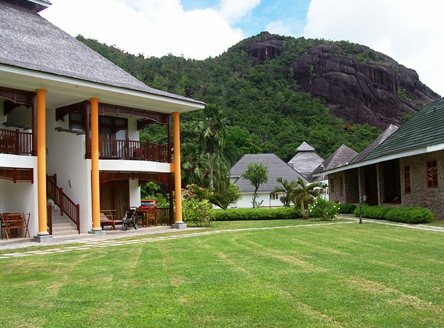 It is managed by the same owners as Le Domaine de L'Orangeraie on La Digue Island. NOTE: Le Domaine de La Reserve will be closed from 1 - 20 December 2019. 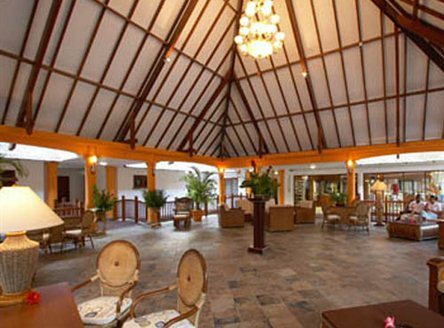 Well appointed, spacious rooms at Le Domaine de La Reserve have a colonial style; all are in double-storey buildings, some in a beachfront location, others in garden settings. Superior Rooms can accommodate two adults & two children (under 17 years); four new Beach Front Family Suites, all close to the beach, sleep 2 adults & 3 children or 3 adults & 2 children. 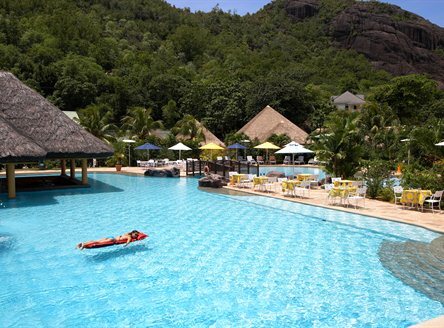 Le Domaine de La Reserve boasts a magnificent, and family-friendly, swimming pool, one of the largest on Praslin, beside which lunch or snacks can be taken every day. 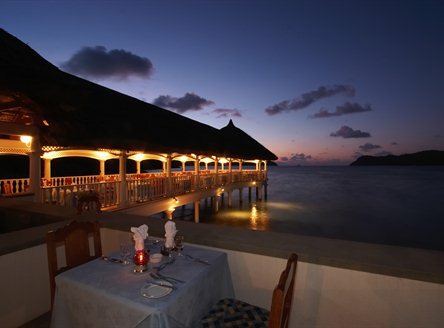 The scenic jetty restaurant at Le Domaine de La Reserve serves appetizing Creole and International cuisine using a wide selection of fresh produce. Evenings are especially intimate and romantic with soft lighting; light entertainment and a Sega Show with traditional Moutia Dance are held on two evenings each week. 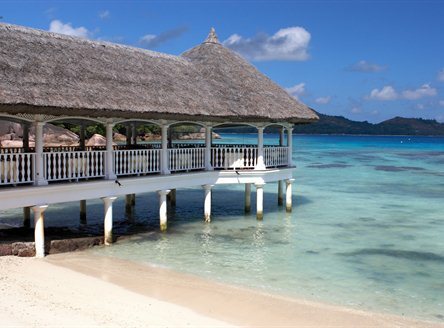 The beach bar terrace is the perfect place to take the complimentary afternoon tea or enjoy a sundowner cocktail. Children are especially welcome at Le Domaine de La Reserve. As well as the large pool and the hotel's private beach, there's also great snorkelling. The restaurant has a Children's menu and a free babysitting service is available (on request) during dinner (7-9pm). There's free unlimited internet access in the Business Centre between 10am and 4pm, whilst free Wifi is available at the Pool Bar & Grill, the restaurant, the beach bar, as well as in the lobby area. 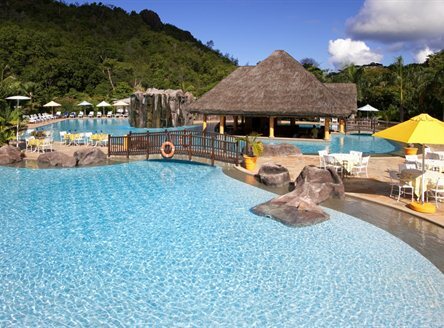 Non-motorised water sports and a choice of excursions can be arranged at Le Domaine de La Reserve Seychelles. Guests staying a minimum 4 nights are entitled to a complimentary day excursion to the nearby islands of Curieuse and Saint Pierre (lunch and beverages extra). Other tours available, payable locally, include full day trips to La Digue Island or half day trips to the Vallee de Mai National Park on Praslin. There's also a Sunset Cruise once a week (on Saturday's), again payable locally. Please note: The Management of the hotel would like to advise that they will be doing some refurbishment, mostly painting to refresh the exterior timber from the start of September to the start of October 2017 and from middle of November to middle of December 2017. There will be no noise. Inter-island flight from Mahé to Praslin and then road - approx. 50 minutes, OR; inter-island boat from Mahé to Praslin and then road - approx. 1 hour 25 minutes. 40 air-conditioned rooms with shower, ceiling fan, hairdryer, internet access (chargeable), mini bar, safe, tea/coffee facilities, hairdryer, satellite TV, terrace. Deluxe rooms also have bath. 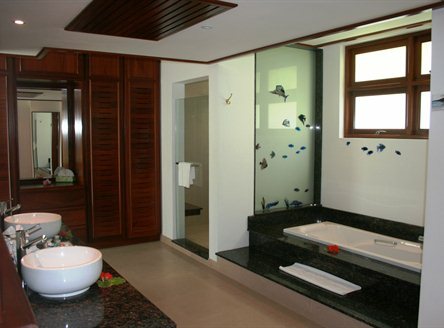 Most rooms are sea facing. 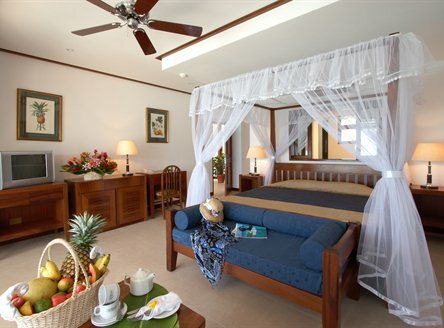 A small number of Beach Front Family Suites are also available, sleeping 2 adults & 3 children or 3 adults and 2 children. 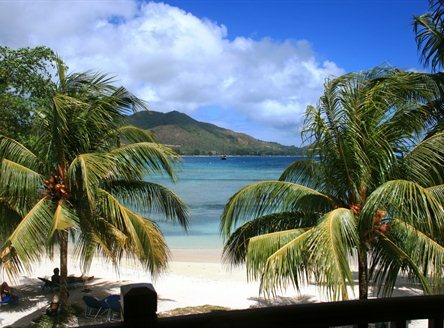 From £1389 per person for 7 nights Bed & Breakfast in a Superior Room, including return flights from London, return inter-island flights from Mahé to Praslin and all road transfers. Looking to book this hotel from outside of the UK? We can arrange accommodation with transfers as above from €969 or US$1049 per person (excluding flights). Get 15% discount on meal plan booked. Valid throughout season. Not Applicable on Supplements. Not Combinable. Get 25% discount of the double rate and special gift on arrival. Min 3 Night stay. Valid throughout the season. Certificate max 12 months old. Honeymoon offer will also apply for those celebrating 5, 10 or 15 years. Pay 4 nights and get 1 extra night free on BB basis. The offer is extendable and cumulative. 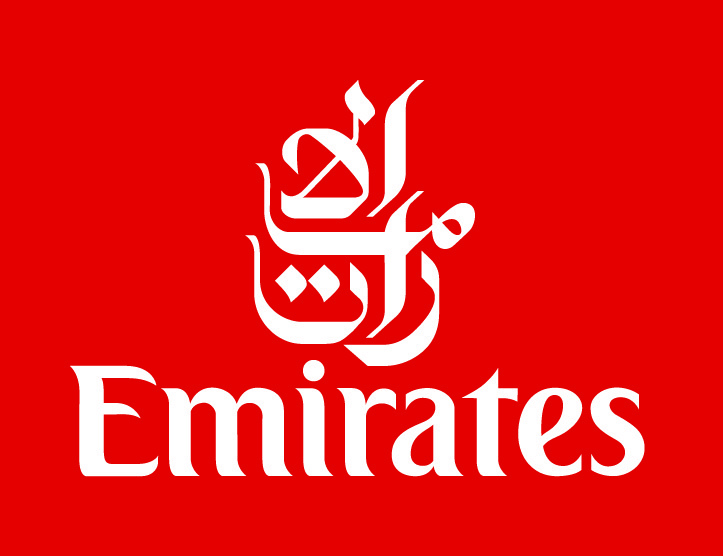 Valid 1 Nov 17 – 31 Oct 2018. Not Combinable. Idyylic setting in a beautiful private bay, offering seclusion that few hotels can rival. The complimentary excursion to Curieuse Island is a real bonus! 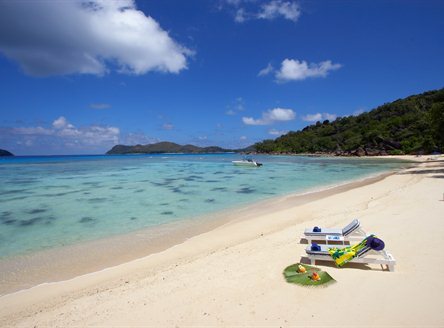 FREE excursion to Curieuse Island when you stay at La Reserve! Guests staying a minimum of 3 nights at La Reserve will receive a free day excursion to Curieuse Island - a National Park. Entry to the island is included as is the cost of the boat trip which includes time for snorkelling. Lunch is extra. Why not combine Le Domaine de La Reserve with a fabulous Catamaran Cruise? 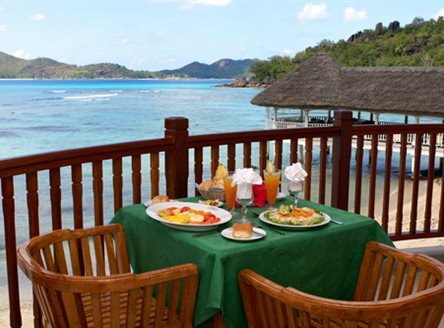 A stay at Le Domaine de La Reserve makes a great combination with one of our superb Seychelles Catamaran Cruises. We can tailor any 'Cruise & Stay' package, from luxury resorts to boutique hotels.